The Asian Art Museum is back on Valentine’s Day February 14 through August 29, 2019. The museum will be open until 9 pm on Thursdays and general admission is just $10. You can spend an evening in their beautiful building enjoying the galleries, fun talks, lively gatherings and intimate hangs with artists. Except for certain special events, general admission for Thursday nights is just $10 for adults (normally $15). > General admission tickets are $10 for adults, $8 for seniors, students and youths (age 13-17). There is a $10 surcharge for special exhibition tickets. Most Thursdays will be $10, but certain special events may have a slightly higher price. Check the schedule to confirm pricing and to confirm the museum is not closing early for a special event. 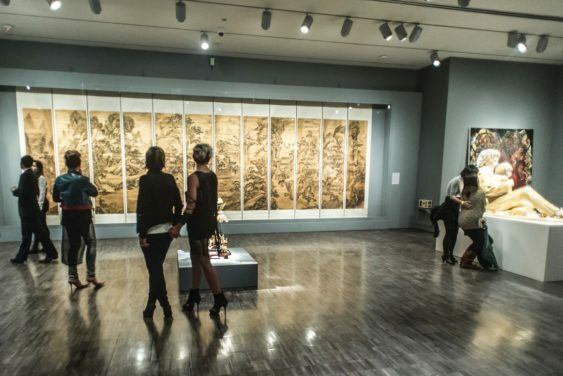 If you’d like to visit any Special exhibitions, there is an additional $10 surcharge. On most Thursday nights, even if there’s is a special event you can still choose to just visit the permanent galleries for $10.